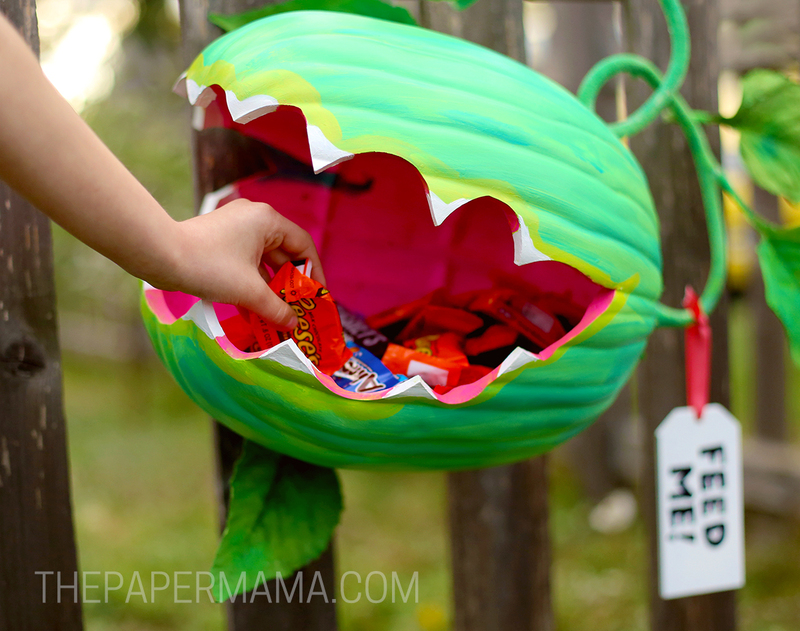 I’m loving my Venus Fly Trap Pumpkin Candy Holder DIY. Since we have two kiddos to take our trick or treating we won’t be around the house to hand out candy to the kiddos out there! So this year I’ve made a Venus Fly Trap Candy Holder. I can just toss a bag of candy into the mouth of this carnivorous plant, tie it to my plant and we can head out on our own Halloween adventure. The neighborhood kids can help themselves to the candy (or just one teenager can help themselves to the candy, ha). It make look complicated, but I promise it was quite easy and you really don’t need to be an amazing artist to create this plant friend. Step 1: Figure out where the plants mouth will be. I chose to put the mouth on the base of the pumpkin. 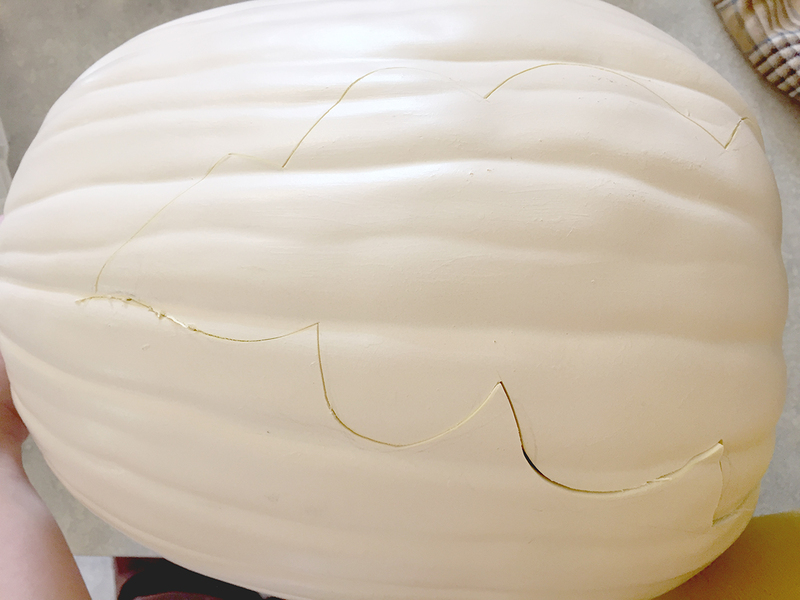 Use a pencil to draw the mouth with teeth on the pumpkin. Note: make sure there’s enough room on the bottom of the mouth to hold candy. I also made sure one side of the mouth wasn’t as long as the other so the pumpkin was more sturdy and could hold the weight of the candy. Step 2: Use the hot knife to cut along the line you drew. 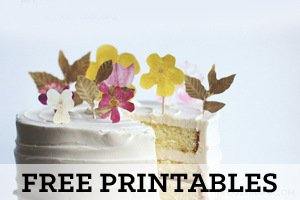 You can use an X-Acto knife, but the hot knife makes it so much easier. 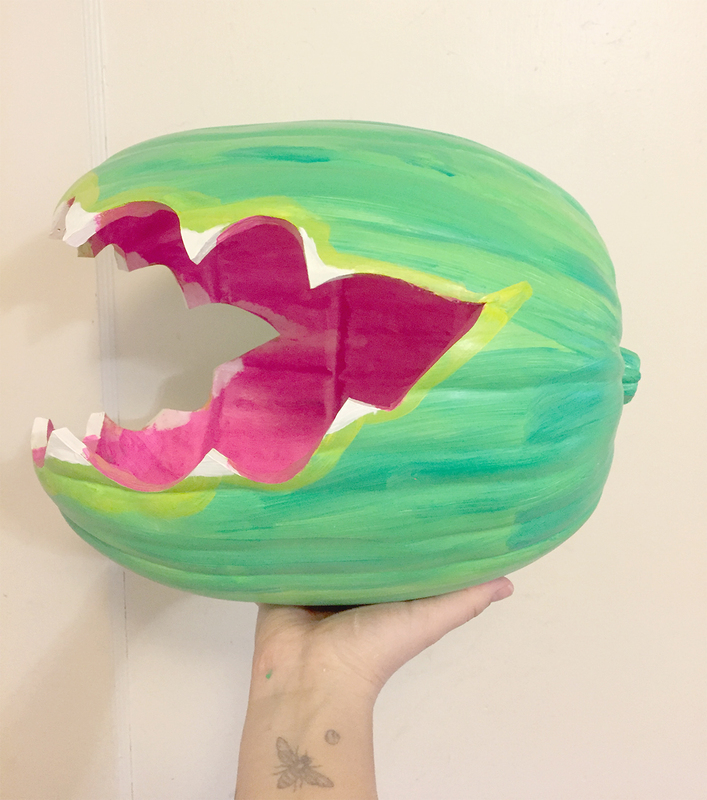 Step 3: Now that your plant has a mouth you can get to painting! For the inside of the mouth I used two different pink colors to blend. For the outside of the outside I used a bright green and a bluish green. Once your paint dries use the white paint to add teeth. I also used the bright green to make “lips” for the mouth. 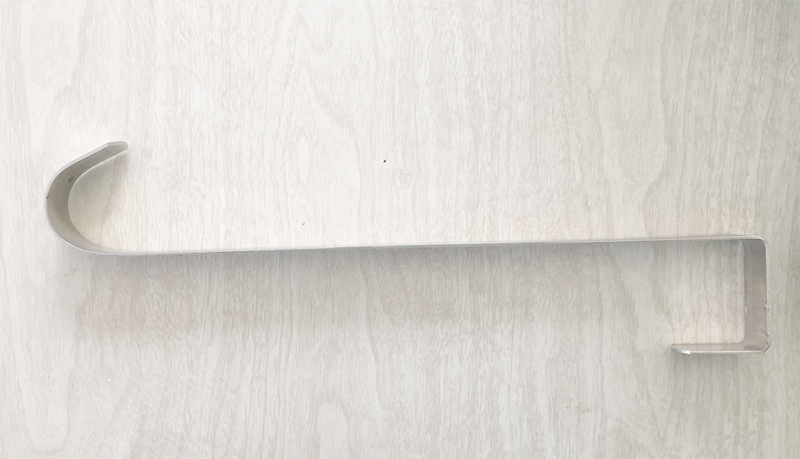 Step 4: Paint your wooden tag white. Let dry completely. Use a sharpie marker to write “Feed Me!” and set aside. 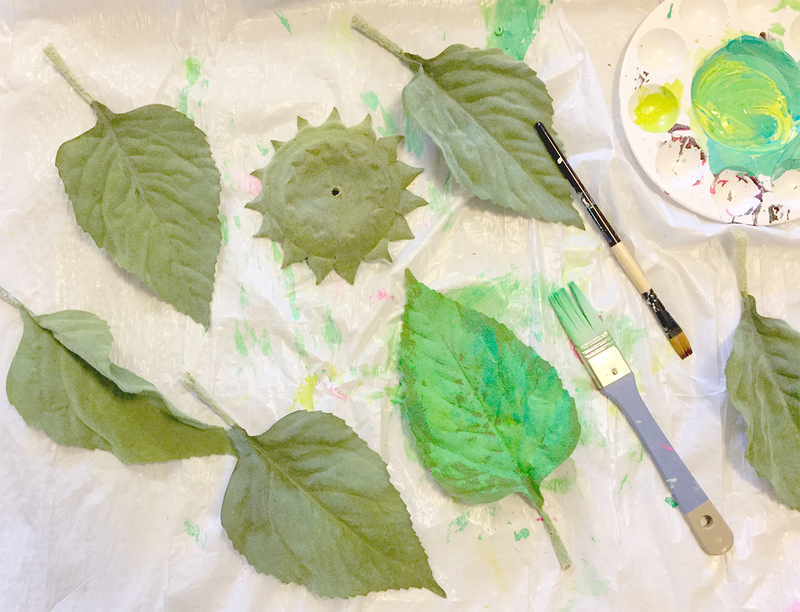 Step 5: Grab your sunflowers and take off the leaves and stems. 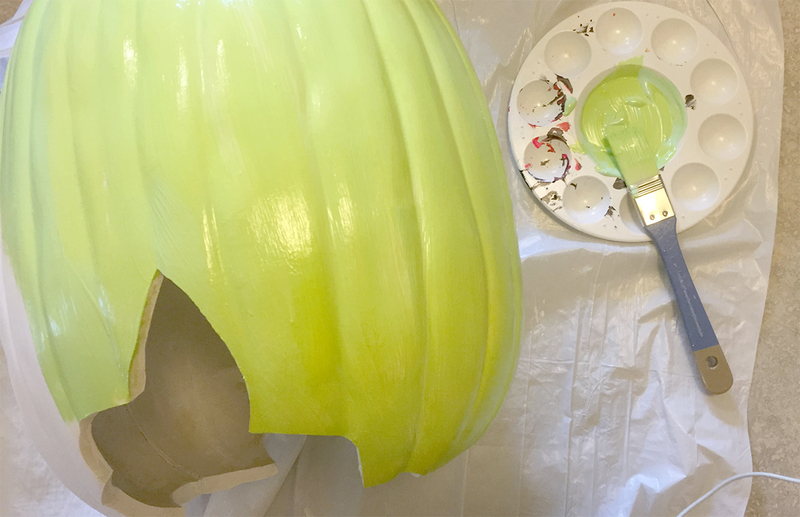 I chose to paint the stems and leaves so the colors would work match the painted pumpkin. Step 6: Decide how you would like to hang up the pumpkin. Will it be hanging on your door? The fence? Sitting in a planter? My pumpkin will be tied to our fence so I’m using a door hanger. I used my hot knife again to cut a little rectangle out of the base so I can put the hanger into the pumpkin. I attached the top of the hanger to the pumpkin with a bit of wire. Step 7: With the hanger portion attached the pumpkin you can now glue the stems and leaves to the pumpkin. 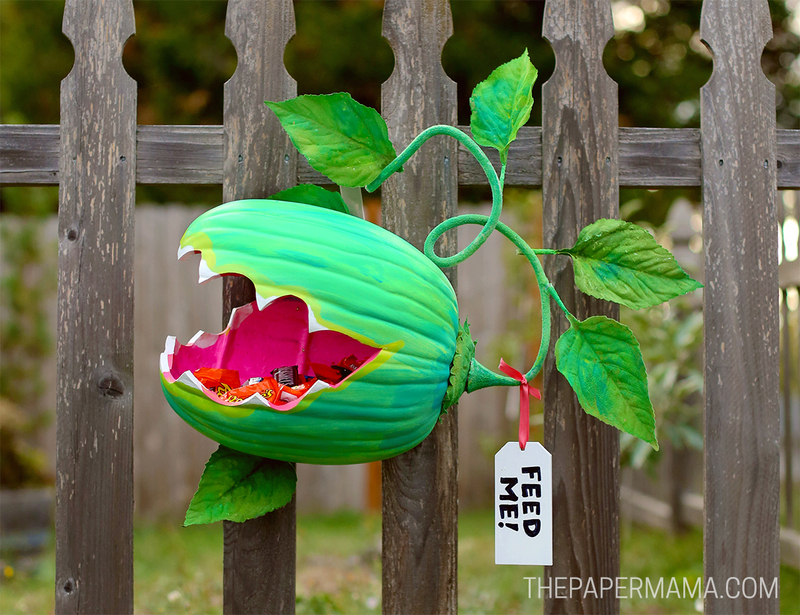 Use a bit of ribbon to tie the “feed me!” tag to the plant stem. 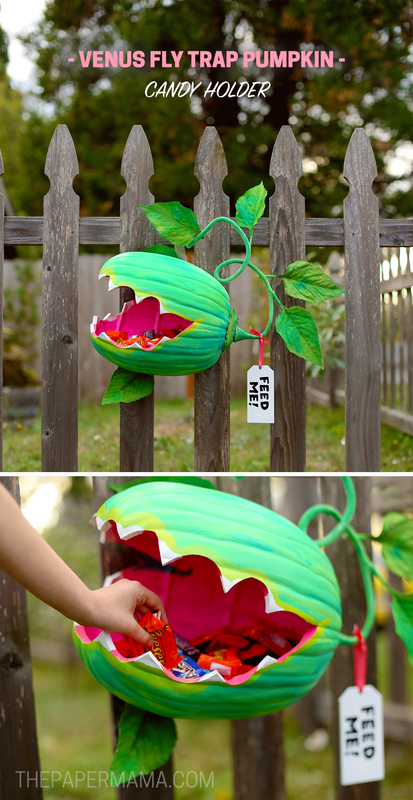 Hang up your cute candy carnivorous plant, add some candy and now you’re free to head out out on Halloween. From playful pumpkins to spooky sights, Michaels has everything you need to MAKE it Spooky this fall! P.S. I was provided with a Michaels gift card to share this project with you. OMG!!! I Love This!!! Such an Imagination! What did you make the stem with. I got the leaves…just wasn’t sure about the stem. I used the stem from the sunflower I purchased. You can find a fake flower with a thick stem to use. Just take the flower off. You could probably make the stem thicker by wrapping with floral tape and then painting it to make it more closely match your fly trap plant. I have no drawing capability! Did you free hand draw the mouth outline or is there a template? 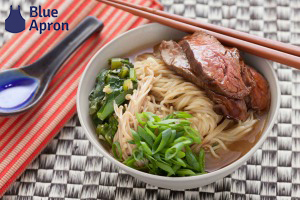 I would love to make this but fear my horrible drawing will ruin my efforts…. I drew it by hand. It’s basically a half circle repeating. Maybe practicing on some paper first will help? I have read over the instructions looked at the pictures and read the comments multiple times and I still cannot figure out how you made the stem. The sunflowers that I have are much thinner and not as thick. Is there anyway you can provide photos of the stem or shoot me an email and walk me through exactly how you made the twisty curly stem. The pumpkin is actually at my mom’s house right now. Were you able to find any other fake flowers with thicker stems? Which part of the stem do you need more details for? I can try and add more to the details, or try and get more photos of the pumpkin this weekend. Is it possible for you to send pictures of the stem part. Ive read the instructions and comments and still can’t figure it out. Your stem is far bigger than the sunflower stems I can find. I love this! Can you tell me the names of the paints you used for the greens and pinks? Thanks! I don’t have a specific name. I did mix a green with a yellow and some white. The pinks were reds and pinks mixed with white. I love this! How did you string the pieces of wire together? 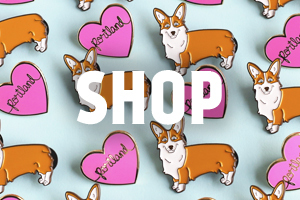 In the middle of making…. 🙂 Thanks for the idea and gorgeous pics! 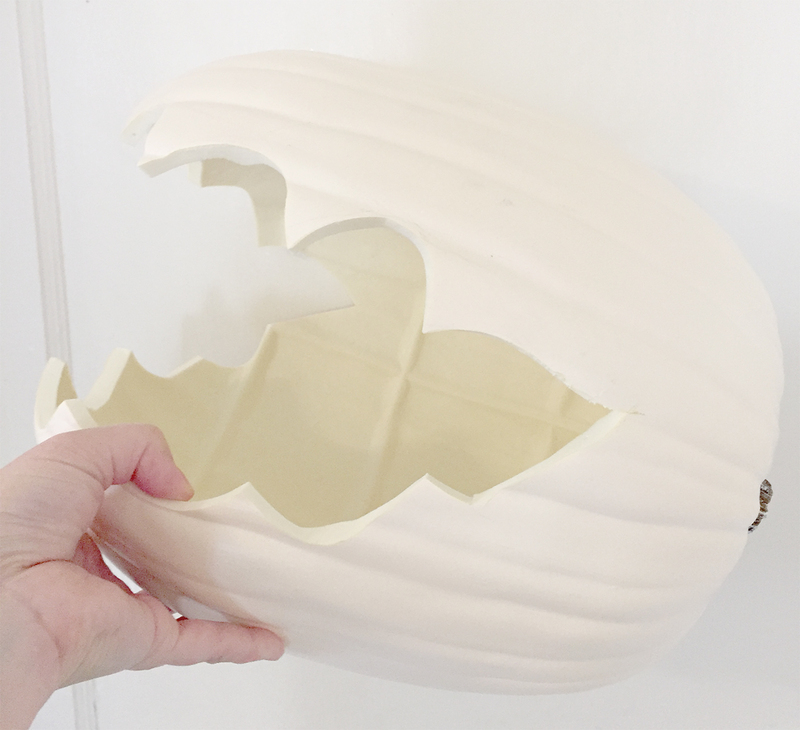 I was able to push the wire through the back of the foam pumpkin and sort of sew it to the wreath hanger. Is that what you were asking? Can I purchase one of your creative venus fly trap? If so what is the cost? I am very interested. Thank you and have a great day. I don’t actually sell them, but thanks! Totally! I went to Michaels and tried to find what you used and I’m pretty sure I did but the three stems had me lost. Thank you so much for explaining. My family and I try to do a new porch idea each year and our neighborhood has many small children so finding wonderful ideas like this that aren’t gory is a challenge. Thank you again! Love this so much! You mention in the instructions you need three sunflowers but I’m a little confused on how you did the stem. Can you please explain? Thanks! Oh yes! I didn’t make it very clear. Three sunflowers are needed for the leaves (unless you can find a fake sunflower with more leaves on it). I used one stem for the pumpkin. 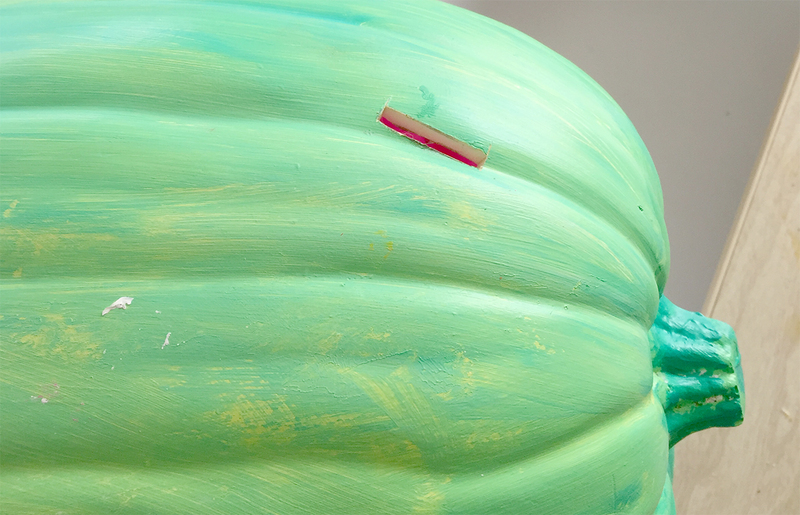 First I glued the green backing of the flower over the stem of the pumpkin. I twisted the flower stem and glued the end onto the pumpkin stem. More glue to secure the curved stem portion onto the back of the pumpkin. Does that make sense? Ha! Hopefully no one steals it this year.